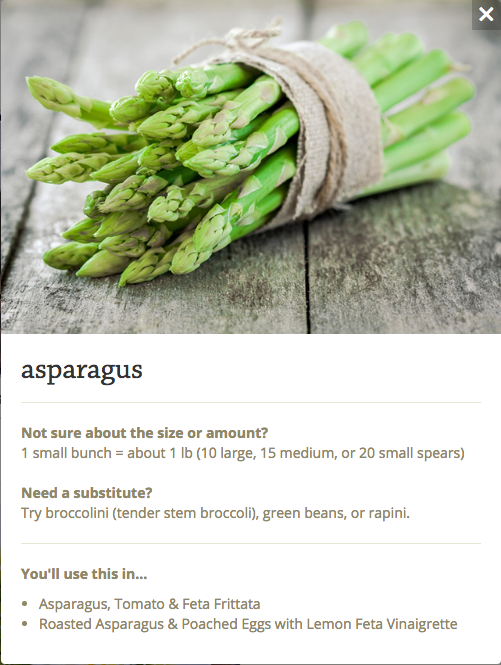 Open the Mealime app on your mobile device and tap the 'Grocery List' icon at the bottom of the screen. Once there, tap anywhere on the ingredient, taking care to not tap the checkbox itself (lest you check the item off). 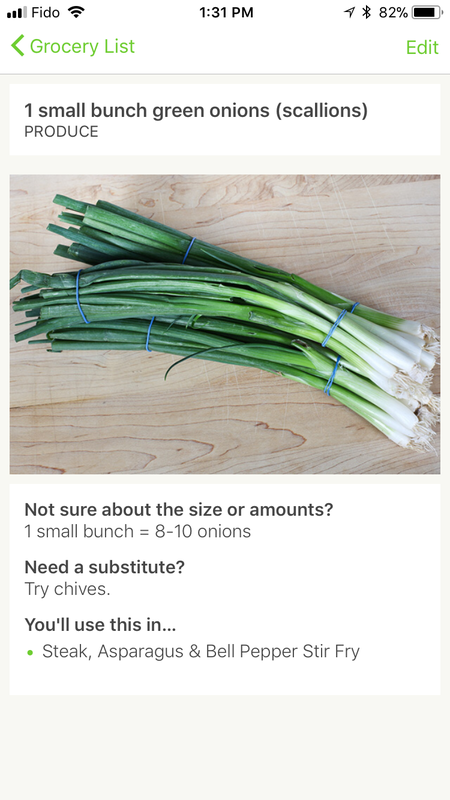 If you tap right in the middle of the ingredient, you'll safely open the extra details without having to worry about checking the ingredient off. Once you've done this, the extra ingredient detail screen will open. 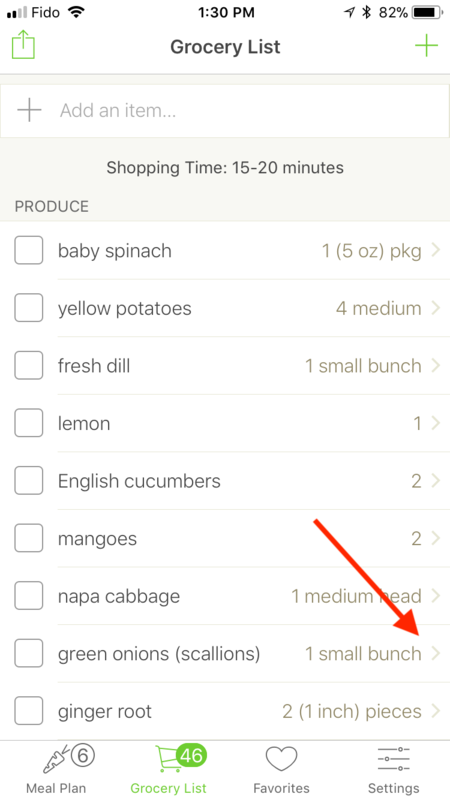 When you're finished, tap the Grocery List link in the upper left-hand corner of the extra ingredient detail screen to go back to the grocery list. You can also edit any ingredient (even your own) by tapping the Edit button in the upper right-hand corner of the extra ingredient details screen! 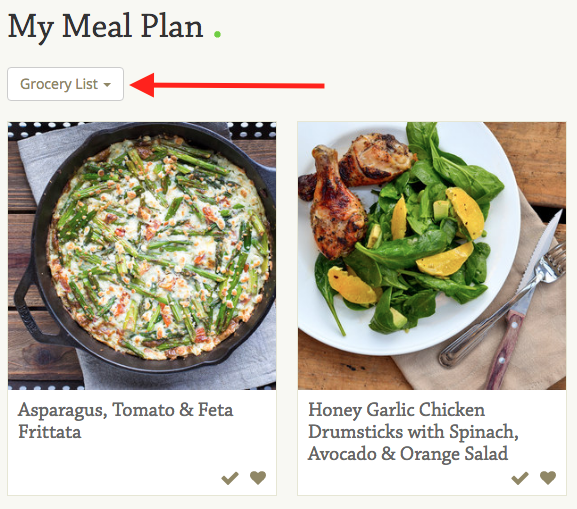 Open up the web version of Mealime and click the Grocery List button located on the 'Meal Plan' screen. Once there, click on the right-hand side of the ingredient to open the extra ingredient detail screen.